You are here: Home > MCSD News & Alerts > MCSD News & Alerts > Jefferson News > Krispy Kreme Donuts from Jefferson PTO – This Saturday! 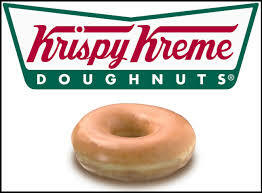 The Jefferson PTO will be selling Krispy Kreme donuts beginning at Noon this Saturday, May 23rd, at the District Administration Center, located at 2900 Mulberry Avenue. For convenience, customers may stay in their cars and drive through under the canopy. Donuts will be $10/dozen. Krispy Kreme Donuts make an easy “graduation weekend” breakfast for families and guests! Get ’em before they’re…… gone!